Bhubaneswar : As the Odisha Men’s Hockey World Cup 2018 will kick start at Kalinga Stadium from November 28, the capital city has geared up to host the grand opening ceremony of the sporting extravaganza scheduled for tomorrow (November 27). Sixteen teams will battle it out in the Hockey World Cup at Kalinga Stadium from November 28 to December 16, and here’s everything you need to know about the mega event. Music maestro AR Rahman will be performing both at the Opening Ceremony of the World Cup on 27th November in Bhubaneswar and at the World Cup inaugural extension programme at Barabati Stadium on 28th November. Actress Madhuri Dixit Nene will perform at the opening ceremony of the Odisha Hockey Men’s World Cup Bhubaneswar 2018 on November 27. The Opening Ceremony will highlight the message of oneness and a united world. To showcase it the ceremony will feature a first-of-its-kind theatrical production and dance ballet titled “The Earth Song”. Shah Rukh Khan will be the star at the ceremony in Bhubaneswar. Similarly, Salman Khan will join the Hockey World Cup Celebrations event at the Barabati Stadium on November 28. “This is a mega event which is first of its kind in Bhubaneswar and Odisha. This is one of the toughest challenges for Odisha police. Our main objective of security is to see the entire event pass off peacefully, without any unpleasant incident. For that we have made multiple arrangements,” said DGP RP Sharma at a press conference here today. Similarly, Cuttack DCP Akhileswar Singh also briefed the media on the arrangements made for the Hockey World Cup Celebration at Barabati Stadium on November 28. “Triple-layer security will be put in place for event. About 45 platoons of police force will be deployed. While the ceremony will begin at 5.30 pm, gates of the Barabati Stadium will be opened at 2.30 pm,” Singh said. The road from Jayadev Vihar to Behera Sahi will be completely sealed. The traffic check points will be set up at Shastri Nagar, Nicco Park, Kalinga Hospital crossings and Achayra Vihar bride end cut on NH-16. The traffic movement through the Nayapalli underpass will be made one-way from Nayapalli to CRP Square. All the vehicular traffic on Bidyut Marg coming from Governor House side will be diverted at Shastri Nagar square to Sachivalaya Marg via Patel Marg except the Mo-buses, vehicles of players and match officials, emergency vehicles and the vehicles of tickets/pass holders. Vehicles of ticket/pass holders shall be allowed to ply through Nicco Park road up to Behera Sahi on production of tickets/passes at Nicco Park square traffic check point. Vehicles of local residents of New AG Colony pr its nearby areas will also be allowed to ply on Nicco Park road after verification. No other vehicles will be allowed to ply on Nicco Park road. Vehicles coming from Acharya Vihar side to Jayadev Vihar will be diverted to NH-16 at Acharya Vihar FOB and except the vehicles of players/match officials/Mo-buses/emergency vehicles/vehicles having passes. Vehicles coming from Nandan Kanan side will be diverted at Kalinga Hospital square to Acharya Vihar via Sainik School road except the vehicles of players/match officials/Mo-buses/emergency vehicles/vehicles having passes. Vehicles coming from Kalinga Hospital square to Jayadev Vihar will be diverted to Acharya Vihar except the vehicles of players/match officials/Mo-buses/emergency vehicles/vehicles having passes. Vehicular movement through Nayapalli underpass will be made one way. All the vehicular traffic will be directed from all directions at Nayapalli underpass to move up to CRP square to get to their destinations. Violation of the instant order will be a punishable offence and may warrant a penalty of Rs 500 to Rs 1,000. Meanwhile, the Odisha government declares holiday for schools & other educational institutions in Bhubaneswar on November 27 and half-day for institutions in other parts of the state in view of the inaugural ceremony of the Hockey World Cup 2018. However, all government offices will function till 1.30 pm on November 27. 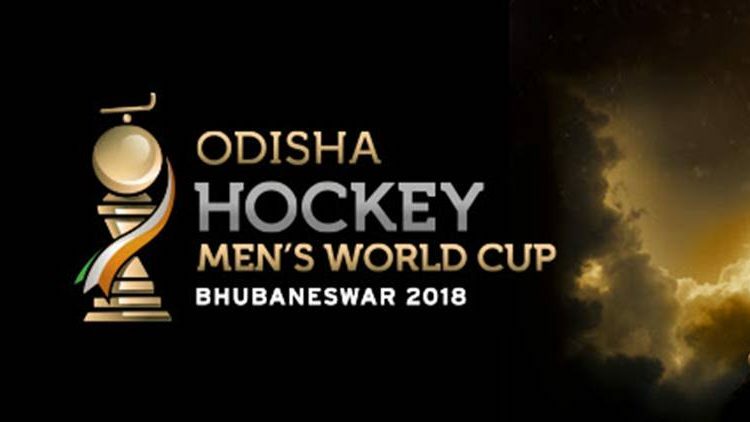 The Odisha Hockey Men’s World Cup Bhubaneswar 2018 is the 14th edition of the prestigious field hockey World Cup tournament. A total of 36 matches will be played during the 19-day event. Give Responses for "Odisha Men’s Hockey World Cup: All you need to know"